NOW CLOSED! There is no news when it might re-open. The whole park closed in May, 2018 during the eruption in Leilani Estates. Although this eruption was near the coast, it drained the lava from Moana Loa, creating cave-in and the expansion of the caldra core. I don’t see how this has anything to do with the Thurston Lava tube, which is well outside the caldera, but it never reopened when the park reopened. My hope is that it reopens soon. In the meantime, a better alternative is right in Hilo. See my post about the Kaumana lava tube here: https://hilovacationhomes.com/activity/kaumana-caves-state-park/. A must see on your vacation in Hilo! Located in Hawaii Volcanoes National Park, it features a 20 minute 1/3 mile walk through a tree fern forest and lighted prehistoric cavelike lava tube awaits you. This lava tube was discovered in 1913 by Lorrin Thurston, a local newspaper publisher, and since then has been a popular tourist destination. 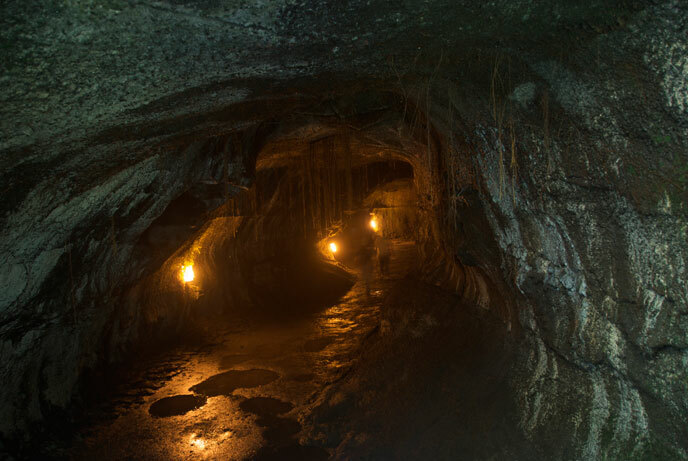 The lava tube is well lit for tourists convenience, and gives you an interesting look at the inner walls, which hundreds of years ago lava rushed through. 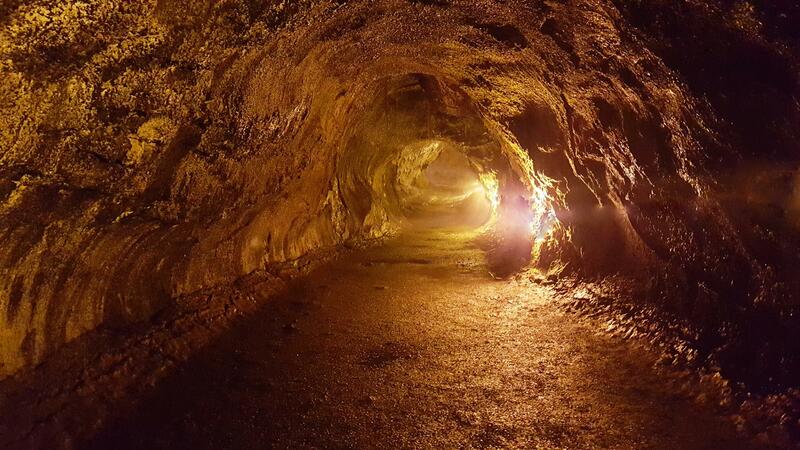 This lava tube is an easy walk, and a great place to visit with kids. Make sure to watch your head, some spots in the cave have a low ceiling! 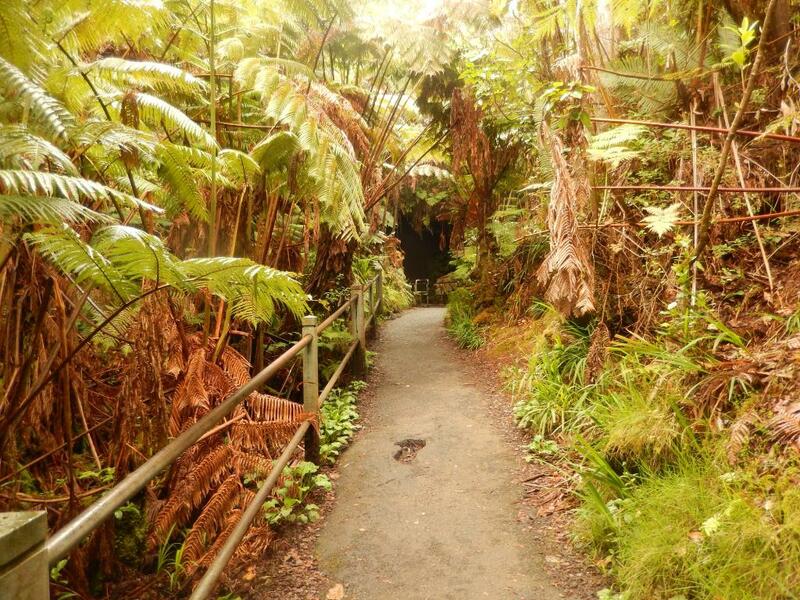 The walk to the lava tube.